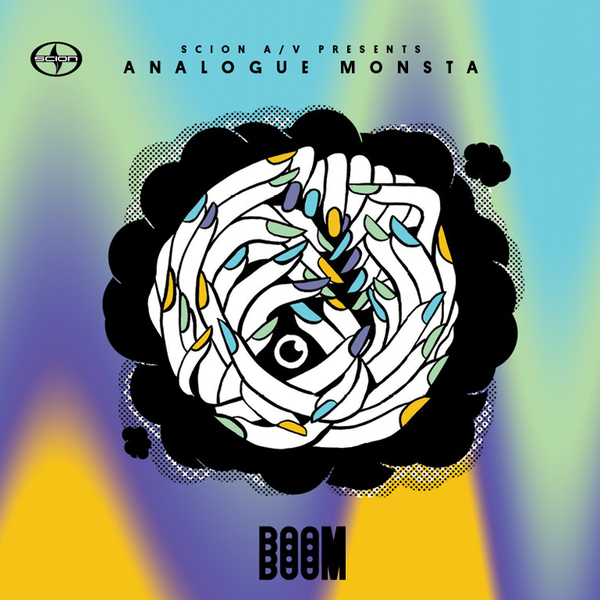 After premiering their song "Nxt Msg" yesterday over at Okayplayer, producers TOKiMONSTA and Suzi Analogue, collectively known as the experimental duo Analogue Monsta, released their highly anticipated joint project, Boom, via Scion A/V. Logic simply dictates that the pairing of two forward-thinking envelope pushers like TOKiMONSTA and Suzi Analogue would yield some positive results. Joining forces in 2010 and adopting the catchy portmanteau pseudonym Analogue Monsta, TOKiMONSTA and Suzi Analogue have been hard at work on their joint project for some time now. Nevertheless, the finished product appears to be well worth the wait. Drawing on their combined production experience and creative penchant for blurring genre barriers and melding elements of electronic, psychedelic rock, R&B/soul and hip-hop, the talented LA-meets-Philly twosome managed to craft an exciting eleven-track LP that showcases both of their unique production styles, and not to mention Suzi Analogue's amazing vocals. The aural gem "Collection Plate" features Analogue's voice woven between a lush, meditative soundscape which is complemented with light percussion. Don't however think for a second that the project is only full of slow R&B/Soul tinged song. The LP stays true to its title with several bass and hip-hop flavored track such as "2nd Boom" and "4th Boom". The EP concludes with the churning slow burner aptly titled "Push On". You won't find any features or guest appearances on Boom and with two talent artist like TOKiMONSTA and Suzi Analogue at the helm, guest spots are far from necessary.